Like the snowdrops nudging their hooded white heads out of thawing earth we too are slowly coming out of hibernation. 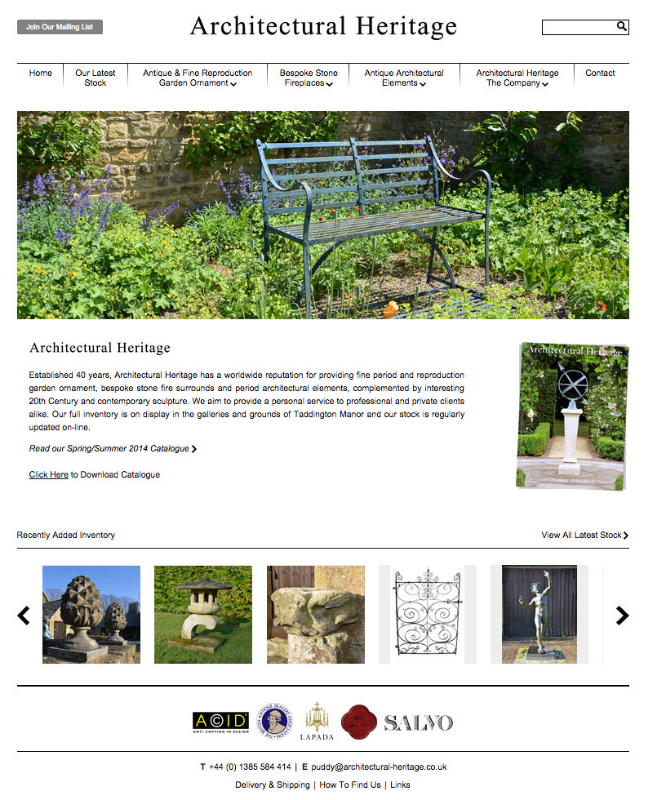 With the bare structure so clear, the planning of the next phase of our gardens is definitely on the 'to do' list and so we thought it would be a good time to finally launch our new website - it has been a while in the creating however we hope it is an improvement, easy to use and full of ideas - your feedback is most welcome. Please do have a look at the site which highlights all of our latest antique stock and features re-formatted images of our fine new garden planters, fountains and ornament, this alongside our ever present bespoke stone fire surround service and architectural antiques. Please click on the below screenshot to go through to the full website. As ever, I wish to thank you for your interest in our company and I very much hope to be of assistance in 2015.